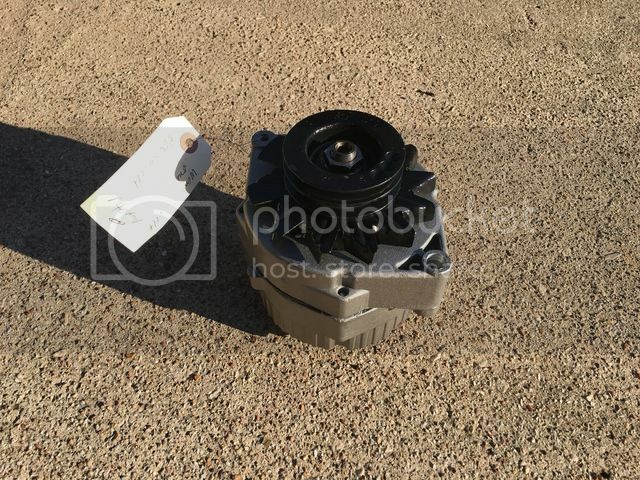 Need new 24v alternator - URGENT - Page 2 - THE PORTAL HUB - Pinzgauers, Haflingers, Volvo 303s and more! A "maxed at 24V" voltmeter is not normal. It is hard to say if the voltmeter is faulty, or if the charging system only puts out 24V. If the voltmeter is bad then you do not know what is happening, good or bad. You can tell a bit if you try to charge each battery with a common 12V charger. If the truck charging system (alternator, regulator) is working correctly they you probably won't be able to charge the batteries for more than 1/2 hour or so depending on the amperage of the charger because the truck has the batteries mostly fully charged. If this is the case then the truck voltmeter is probably bad. If the batteries want to be charged for several hours then I might think that the 24V reading on the dash meter might be correct, the batteries are not getting properly charged. It is a good idea to charge each 12V battery independently this way once or twice a year to get the longest life from the batteries. I have worked on cars where the charging light came on at idle but went out during driving or higher revs; in one the alternator diode pack had one of the six diodes bad. Detecting this requires some sophisticated electrical equipment (an oscilloscope) that you may not have access to. In another case the reverse was true - the light came on at higher revs, but was out at idle. This was due to out of round slip rings on the alternator rotor where the brushes could follow the out of round rings at slow speeds but bounced at higher speeds. Each problem is different; finding the root cause of the problem is not easy without the right equipment. But you have to start with a voltmeter. At least invest $10 for a cheap Harbor Freight one and tell us what voltage is at the batteries at idle and at a bit higher revs. one2many wrote: Sounds to me as if your voltage reg is still playing up...your voltmeter should be reading 27-28 volts when the engine is running .I've had a similar problem in one of my volvos with an intermittent fault at the voltage reg making the charge light come on occasionally, then after a short time it just stayed on. Your charge light should go off when you lift your revs up to about 1000rpm but it is normal for it to be on at low revs say when the truck is cold, it should not take 10 minutes of driving before it goes out. You probably know by now that the voltage reg is inside the cab behind passenger seat mounted to the engine hump. Check the wiring/and plugs there are making good contact and follow it underneath and do the same at the relay, but I would suspect the old SEV Marshal? Voltage reg is cactus. It's an easy and cheap fix check the thread below, there are links there to suitable replacements as well as part numbers. Don't bother trying to find that same voltage reg as they haven't been available for years but Bosch make a suitable replacement as do many other makes so you should be able to find a replacement without to much trouble. P.S. fill in your location so we know where you are. Thanks for the reply. The voltmeter I have only goes to 24V max (weird I know) so I can't tell if it's actually higher than that but I suspect that it is with it now being maxed at 24V with all electronics on. The light now goes off after about 30s of driving once it warms up a little so it sounds like it's behaving as expected. Maybe the voltage regulator is having issues still and the issue comes and goes? I will buy that replacement one to keep with me before I head out again though. Jimm391730 wrote: A "maxed at 24V" voltmeter is not normal. It is hard to say if the voltmeter is faulty, or if the charging system only puts out 24V. If the voltmeter is bad then you do not know what is happening, good or bad. I know I should be getting a proper voltmeter. I was just on the road stuck in a small town with limited resources. Now you probably understand why it makes sense that it's capped at 24V. It's some cheap Chinese thing that came with it. Before you hit the road again do what Vince suggested....buy a $10 or$20 handheld voltmeter with probes and at least verify you have 27-28 volts at the batteries with engine running. Even 30 seconds for the light to go out seems suspect to me, it should go out as soon as it's "excited" by lifting revs slightly.....like instantly. I really do suspect that voltage reg is likely to let you down again on a long drive. if you can get a cheap voltage tester and either of the voltage regs linked in the other thread or any 28 volt voltage regulator with 3 wires then you'll make it to where your headed no probs, people on the forum will talk you through the rest. It's almost 4am in the land of Down Under so I'll wish you luck and check your progress when I awake in a few hours. one2many wrote: Before you hit the road again do what Vince suggested....buy a $10 or$20 handheld voltmeter with probes and at least verify you have 27-28 volts at the batteries with engine running. Thanks! I fear you are probably right and I plan to get myself another voltage regulator. For now, I had to leave the truck at a Volvo dealership (they got a kick out of it) and they let me store it there for a couple weeks if needed at no cost. I'm flying home to Vancouver Canada and might fly out here again next weekend although I doubt I can get a voltage regulator before then. Any ideas where to get a 28V regulator locally? No regular auto parts stores have them. I can order online of course but it would probably take too long to get here. what you got here for your charging system to figure out were to start. An Alt. that puts out "sluggishly"
might be blown diodes in the 3 phase bridge rectifier. the regulator is bad. If on the other hand it's still sluggish, then your Alt. is bad -- likely a diode or two. a standard Bosch 5-pin Relay connector. 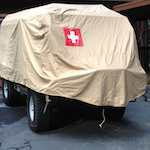 You can get these at Expedition Imports or Swiss Army Vehicles. I'd get it towed to the nearest alternator rebuild shop (assuming they say its ok first!) and just pay a tech there to go through the system. Any shop can deal with 24v systems and will either install a new reg. or rebuild the alt... or find your wiring issue. Are you really driving 3000 miles? Maybe you need to just bite the bullet and pay to have it trucked home. That's a ton of miles for an unknown 303, or any mil truck. Well it's only about 2500 miles It seems okay now with the new alternator but as much as I like adventure, I think I might get it shipped after all. They will fit on a standard car hauler. I've done this before. Just say its like the size of a Yukon when they are asking. You could always get it shipped part ways. Have him drop it off at a hotel somewhere you want to visit and fly in. I did that once for a Utah trip back when I lived on the east coast. VinceAtReal4x4s wrote: They will fit on a standard car hauler. I've done this before. Just say its like the size of a Yukon when they are asking. Every shipper keeps saying it's too tall when I give them measurements. They say it'll make the car hauler over legal height for going under bridges etc. Any recommendations for a shipper that would do this anyway? My experience with the car shipping industry has been awful so far. Seems like 90% of them are just out to scam you in some way. Give the auto shop or auto electrician the Bosch part no provided in the eBay links earlier or just show them the eBay page and scroll down, there are 20 other brands listed that come up with the Bosch part no. (Identical part) Let them choose one they can deal with and should be able to get it next day.....that is if they can be bothered. BTW that voltage reg is the same part that Tantaka are selling for The C303, you can see it detailed on their website. Keep calling vehicle freighters because your radio/command cab should not be too high to freight by your average tow truck. If no one here can suggest a good company then try ringing Scott at EI or Willy and Sarah at SAV and ask if they can suggest someone good to deal with...your dimensions are much the same as a 710K. Good luck and sorry to hear you didn't make it home with Volvo. 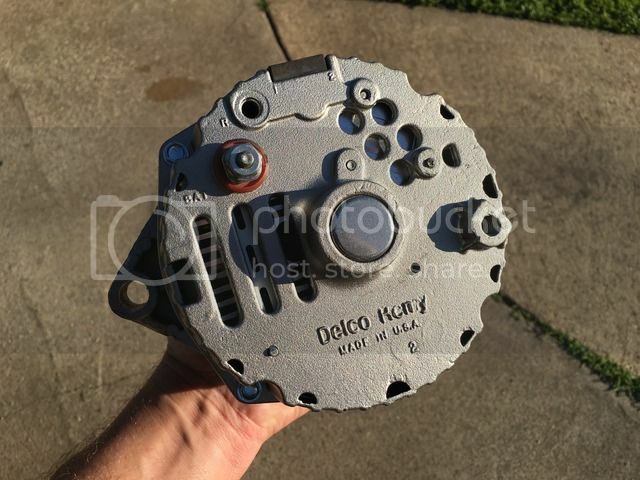 I agree that a more modern internal reg alternator is the best solution if planning to keep the original motor, not only from a reliability perspective but one could also choose to run a much higher output alternator like I think you (dokatd) did. If my memory serves me you had no trouble finding a 140 amp unit which is much more practical for most of our camping needs. The original units are a measly 35 amps and I believe radio equipped Volvos had a 70 amp unit. I chose to replace the external voltage reg because I am doing a diesel conversion but at that time I still wanted to be able to start and move the "truck" around my property for convenience sake, and the replacement reg was only about $20 aud as opposed to $200 for a complete new alternator with Internal reg. Considering jlager's position being so far away from home I thought if he could easily source the replacement I found for very little money it might have got him or her home without further concern for the charging system and having only spent $20 or so it'd be no big deal should the decision be made to further improve the system at a later date with a more modern higher amp IVReg unit. I guess now that as the Volvo will likely be freighted from wherever it is that this is all a bit mute as it is probably no longer an urgent situation. Being broken down so far from home or any help I can only imagine is pretty frustrating and could easily get very expensive fast. For me making the decision to leave my Volvo or Pinz behind would not be an easy one and I feel for jlager for having to make such a decision. I'm sure it'll be a great rig once you get through these teething problems, they are really pretty simple and a pleasure to work on. Be sure to post some pics of your new toy once you get it home. When you are home in Vancouver why not talk to your local Volvo truck dealer. They may have access to just what you need to carry on. My suggestion i of the new alt is one guaranteed fix for both items. Since the owner does not seem like he is ready to properly diagnose the issue and now he is 2900mi away. He could get a new 1wire alt, fly back to the truck and drive it home. Rather than order and instal a new regulator only to find the alt he just installed from the PO is bad as well.